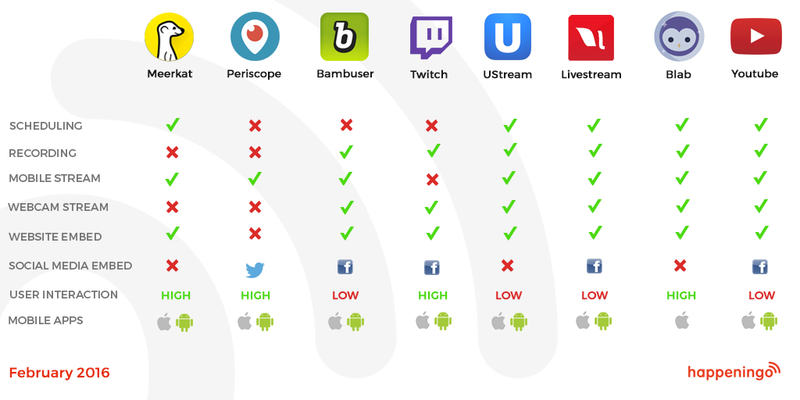 If you create live video, here’s that table of (free) live streaming apps you’ve been searching for. It will probably be out of date in a few weeks, but hey, you can always get the next update in our monthly mail. Just scroll down and sign up to start turning live content into happenings online. Richard Medic is Chief of Happenings at happeningo digital agency and Soonfeed, the easier way to gather crowds around live content. Join him on Twitter @happeningo, or mail him directly here.